One-third of a facility’s energy bill stems from the boiler room, and system inefficiency leads to high energy costs. Many people think purchasing a new high-efficiency boiler or replacing an older boiler is the only way to achieve significant energy savings, but that’s just not true. According to the Department of Energy, close to 80 percent of boilers in the United States are nearly 30 years old or older. If replacing a boiler isn’t an option due to budget constraints, there are other ways to improve efficiency. Retrofitting an old boiler is one way to bring it nearly up to par with today’s new systems. This article shares some tips on major retrofit options available to minimize energy loss and maximize fuel savings. The main cause of energy inefficiency is system heat loss. The average level of efficiency for industrial boilers is only 75 percent to 77 percent. The first place to look for improvements is in the control system. The following new control developments produce measurable efficiency increases and fuel-cost reductions, and they are available for retrofitting into an existing system. 1. Parallel Positioning — Many boiler burners are controlled by a single modulating motor with jackshafts to the fuel valve and air damper. This arrangement, set during startup, fixes the air-to-fuel ratio over the firing range. Unfortunately, environmental changes such as temperature, pressure and relative humidity alter the fixed air-to-fuel ratio, making combustion inefficient. To account for these conditions, boilers with jackshaft systems are typically set up with a high amount of excess air. This higher excess air level reduces boiler efficiency and, over time, linkages wear — making repeatability impossible. To solve this problem, consider incorporating parallel positioning into the control system. It’s a process using dedicated actuators for the fuel and air valves. 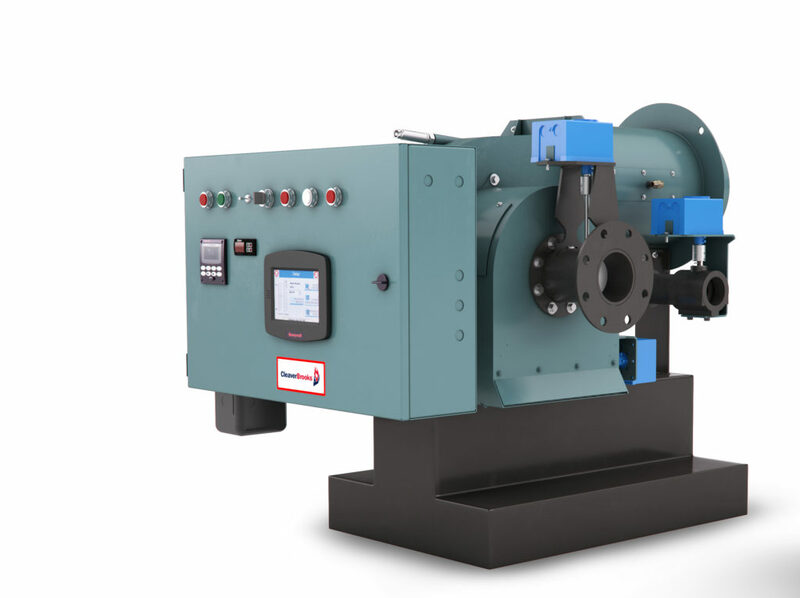 Burners that incorporate parallel positioning can be set with lower excess air levels. Energy savings of up to 5 percent can be realized by introducing a parallel positioning system. 2. O2 trim – Another way to ensure peak efficiency is to use an oxygen sensor/transmitter in the exhaust gas. The sensor/transmitter continuously senses oxygen content and provides a signal to the controller that “trims” the air damper and/or fuel valve, maintaining a consistent oxygen concentration. This minimizes excess air while optimizing the air-to fuel ratio. 3. Variable speed drive – Variable speed drives enable a motor to operate only at the speed needed at a given moment, rather than a constant 3600 RPM as a drive runs. This speed variance results in the elimination of unnecessary electrical energy consumption. A variable speed drive can be used on any motor but is most common on pumps and combustion air motors of greater than 5 HP. These drives also produce quieter operation compared to a standard motor, and they reduce maintenance costs by decreasing the stress on the impeller and bearings. 4. Lead lag – Lead lag sequences the operation of multiple boilers, matching system load. Lead lag enables the boilers to operate at peak efficiency, reduces cycling and decreases maintenance and downtime. Another way to please budget scrutinizers while improving energy efficiency is by incorporating heat recovery retrofits into the boiler system. 1. 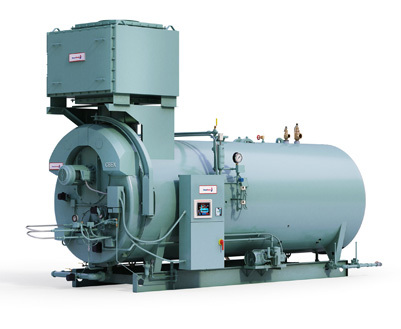 Economizers — Economizers transfer energy from the boiler exhaust gas to the boiler feed water in the form of “sensible heat.” Sensible heat is created by the transfer of the heat energy of one body, in this case exhaust gas, to another, cooler body — the boiler feed water. This reduces the boiler exhaust temperature while preheating the boiler feed water, increasing overall efficiency. Economizers typically increase energy savings by 2.5 percent to 4 percent. 2. Two-stage condensing economizers — This type of economizer combines the functions of both a standard non-condensing economizer and a condensing economizer. The first section of the economizer recovers energy by preheating boiler feed water. The second section recovers energy by preheating a cool liquid stream such as make-up water. Sensible and latent energy is captured from the flue gases that leave the boiler. Condensing economizers can increase energy savings by up to 10 percent, depending on design and operating conditions. 3. 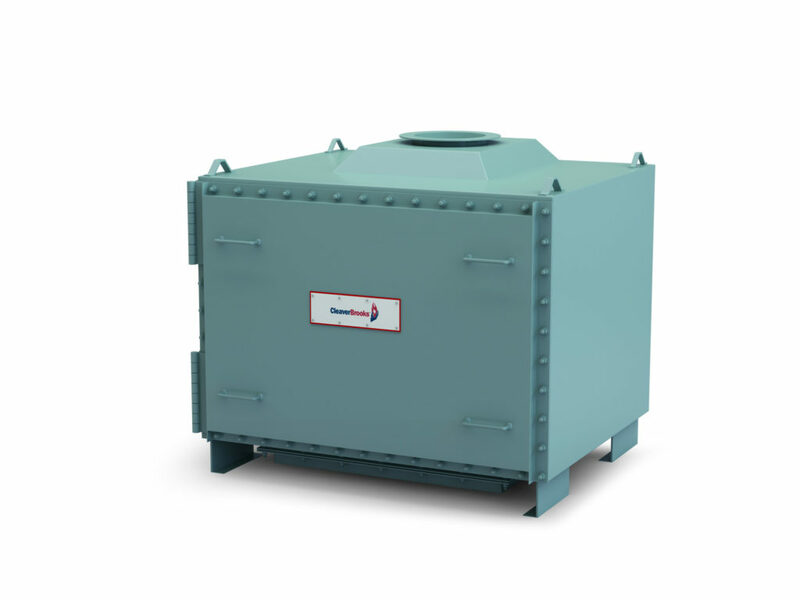 High turndown burner — Increasing burner turndown rate will increase energy savings and reduce maintenance. Energy savings is realized due to a reduction in on-off cycles. Each on-off cycle is followed by purge cycles. During a purge cycle, large volumes of room air pass through boiler, resulting in heat being blown out the stack. 4. Blowdown heat recovery — All boilers must remove dissolved solids from the boiler to maintain water purity and ensure a long boiler life. Many boiler rooms route blowdown to a flash tank that allows safe discharge of the steam by reducing (flashing) the steam pressure in an enclosed tank. Low-pressure steam is vented from the tank and condensate is discharged to the drain. In many cases, these tanks are not insulated nor do they allow recovery of the lost heat. A blowdown heat recovery system transfers the blowdown steam energy to the boiler feed water, recuperating about 90 percent of this energy.